This Lexmark 56P4104 is Genuine and works with the Lexmark T640, Lexmark T642 Printer series. Parts are thoroughly tested, inspected for damage & defects and guaranteed 100% fully functional. This HP C6520A is Genuine and works with the HP 1012, HP 1020, HP 2600, HP 2820, HP 2840, HP 3000, HP 3050, HP 3052, HP 3055, HP 3390 Printer series. Parts are thoroughly tested, inspected for damage & defects and guaranteed 100% fully functional. This HP C8531-69018 is Genuine and works with the HP 9000, HP 9040, HP 9050, HP M9040, HP M9050, HP M9059 Printer series. Parts are thoroughly tested, inspected for damage & defects and guaranteed 100% fully functional. This HP C8531A is Genuine and works with the HP 9040, HP 9050 Printer series. Parts are thoroughly tested, inspected for damage & defects and guaranteed 100% fully functional. This HP C8532-67902 is Genuine and works with the HP 9040, HP 9050 Printer series. Parts are thoroughly tested, inspected for damage & defects and guaranteed 100% fully functional. This HP C9669B is Genuine and works with the HP 5550 Printer series. Parts are thoroughly tested, inspected for damage & defects and guaranteed 100% fully functional. This HP CB518-67901 is Genuine and works with the HP P4015, HP P4515 Printer series. Parts are thoroughly tested, inspected for damage & defects and guaranteed 100% fully functional. This HP CB519-67901 is Genuine and works with the HP P4014, HP P4015, HP P4515 Printer series. Parts are thoroughly tested, inspected for damage & defects and guaranteed 100% fully functional. 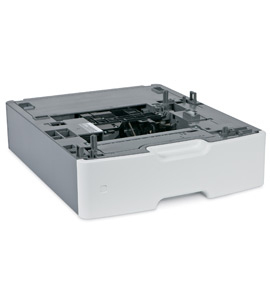 This HP CB519A is Genuine and works with the HP P4014, HP P4015 Printer series. Parts are thoroughly tested, inspected for damage & defects and guaranteed 100% fully functional.